Whatever your event, take your special day to new heights by booking your very own unique air show and make it the most memorable ever. This never-to-be forgotten air display will enthral your guests and leave them talking about the experience and your special day for a long time to come. Our aerobatic pilot guarantees to give you a truly unforgettable flying display. He will fly daring but graceful, breath taking, gravity defying manoeuvres including tumbles, loops, swoops flicks and rolls. Environmentally friendly smoke (baby oil) will trail the aeroplane emphasising the flight path, giving a spectacular aerobatic display that will both surprise and delight your guests. 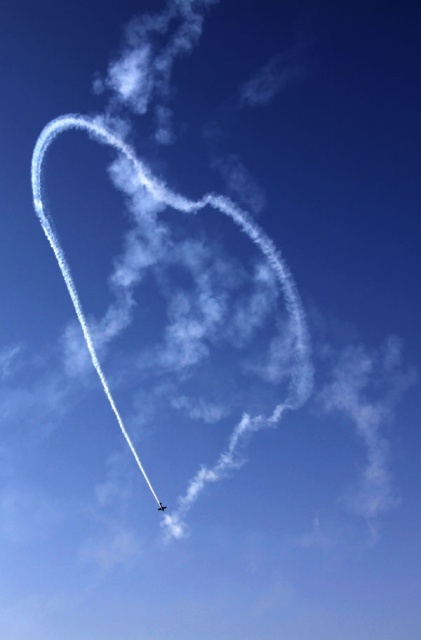 The air shows usually end with a stunning smoke shaped heart (love in the air) but we can discuss specific requirements, such as numbers for birthdays and tailor make the performance to your specific event. The skill and vast experience of our pilots ensures they will perform a well balanced display to you and your audience and can do so in a wide variety of weather conditions. Each air show lasts approximately ten minutes, and of course each is the ultimate unique spectacle to entertain your guests. We can also guarantee getting to your venue within a minute of the agreed time, allowing us to plan your air show effortlessly around the whole event. Air displays are a very exciting way to entertain your guests but we want to assure you that all our shows are carried out with the highest standards of safety in mind. Mark Jefferies has the highest level Civil Aviation Authority Display Authorisation which allows him to fly the widest range of aerobatic manoeuvres permitted. His Liability Insurance covers him up to £5m. Each display lasts approximately ten minutes, and of course each one is unique. Please feel free to contact us, either by completing the contact form here or by telephone, where we will be very happy to discuss your requirements with you. Let us help you to make your day truly out of this world. We take credit cards to help with stage payments if required. Everyone I have spoken to was amazed, particularly a number of pond dippers standing by the dyke when you suddenly appeared! We are so glad that you came early and didn’t abandon when the weather deteriorated, we wouldn’t have wanted to miss such a thrilling spectacle. The display was absolutely awesome and everyone is still talking about it. I have a few male friends that are due to get married this year who are not so happy with me as their brides to be want something similar……and they say they cannot compete with that…..
From some of the other comments, I think that there may be some more business for birthday displays etc. Once again, thank you so much for an excellent display and for the way in which you helped me out when I thought it was all too late to sort anything out at such late notice. Mark that was a FANTASTIC show. Everyone was absolutely thrilled at the display. Quite a few of the guests were ex-pilots including a couple from the War, and everyone was very very impressed. Great stuff. Thank you. We were really impressed with the air display. It was fantastic. One of our guests was a BA 777 Captain who also has an interest in aerobatics – he was extremely impressed and said how good it was. 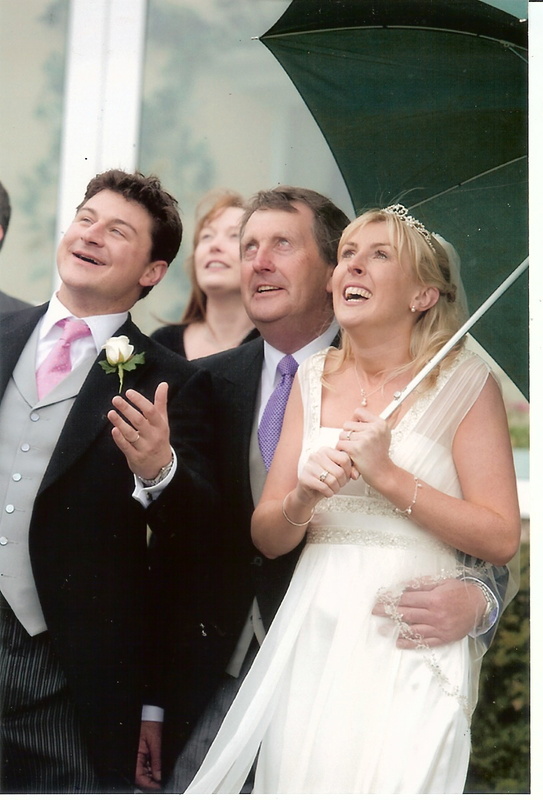 We’ve talked about it every day during the honeymoon and both agree that it added a little magic to our day……..so Russell’s surprise from me went down very well! Thank you very much. Mark, Thankyou, thankyou, thankyou, fabulous, amazing, awesome, spectacular, You captured 120 peoples attention in our garden for 10 minutes with there eyes totally fixed to the sky, you was fantastic. We had the most fantastic wedding day, all of the people that we used were wonderful our Victoria is so lucky to be able have such memories. We were all “oooohing” and “aaaahhhing” every time you did a manoeuvre . Honestly, we were beyond amazed by your skills and I was totally dumbfounded by how you managed to make the ‘plane “float” in the air like that! Most of all, I LOVED the heart you drew so perfectly in the air!! Just wanted to drop you a quick line. The air show was fantastic, everyone was amazed, how the pilot knew where they were, I just don’t know. The display really helped to make a wonderful day . For enquiries and bookings.